Shopping for a used Honda Accord in Atlanta GA ? 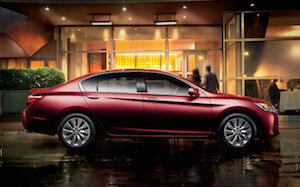 We have the the used Accord coupe and sedan, look for dealership sales, lease, specials. The Honda Accord is well known for its reliability, practicality and reasonable price. The sedan 4-door version is ideal for families while the coupe version offers a sportier appearance. The Accord was first manufactured in 1976 by Honda and since then has been one of the top selling cars in the U.S and has received numerous awards, accolades and ratings. Our dealership has numerous Accord’s in stocks. We specialize in economy used cars that are priced to sell. We will even buy your car even if you don’t buy from us. Financing is available for this vehicle. Cruise our inventory to see the used Honda Accord in Atlnta GA and visit our dealership for a test drive.